Whether it is a powerful Mule four-seater workhorse or an agile recreational Teryx, we offer the Kawasaki side-by-side accessories that will fulfill your particular needs. Widely used in contractor and industrial applications, the Mule is a seemingly small but extremely capable UTV. We are proud to help you enhance its operation. 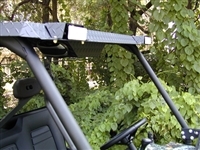 The selection of Kawasaki Mule accessories in our store includes high-quality speaker boxes, reliable and lightweight aluminum roofs and compatible LED light kits. We continuously grow the assortment of Kawasaki UTV accessories in our store by manufacturing them ourselves and selecting the best suppliers in the field. 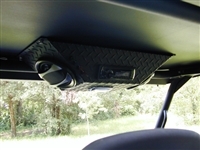 These accessories are designed to provide a quality experience and long-lasting performance. Shop Kawasaki aftermarket accessories in our store and don't hesitate to inquire about our financing terms!